Have you ever been confused by the pricing in broadband ads? TalkTalk’s managing director, Tristia Harrison, writes on why they’re scrapping separate line rental charges. If you’ve ever tried to buy a broadband package, you’ll know that calculating the monthly cost can sometimes be reminiscent of maths lessons at school. You have to do long-winded sums taking into account the headline price, set up fees and line rental. Soon enough, an attractive deal can become much more expensive than you initially thought. This happens across the country, on a daily basis, because broadband providers are falling short in making pricing simple and transparent. Increasingly, the industry is characterised by attention-grabbing broadband prices, underpinned by less prominent – and more costly – landline charges. It’s a bad habit that all providers, including TalkTalk, have been guilty of. It doesn’t serve customers well and it’s time it stopped. That’s why we’ve made the decision to do the right thing and will be scrapping separate line rental charges for TalkTalk homes. We’ll be moving toward a single monthly cost including line rental, known as ‘all-in pricing’. We’re doing this because we firmly believe every home that’s online deserves transparency and to know they’re getting value for money. It’s a view that’s shared by the government, consumer groups like Which? and the Advertising Standards Authourity. All agree that presenting landline and broadband costs separately adds unnecessary complexity and risks broadband deals appearing misleadingly cheap. Yet we’re the only major broadband provider to commit to all-in pricing so far. 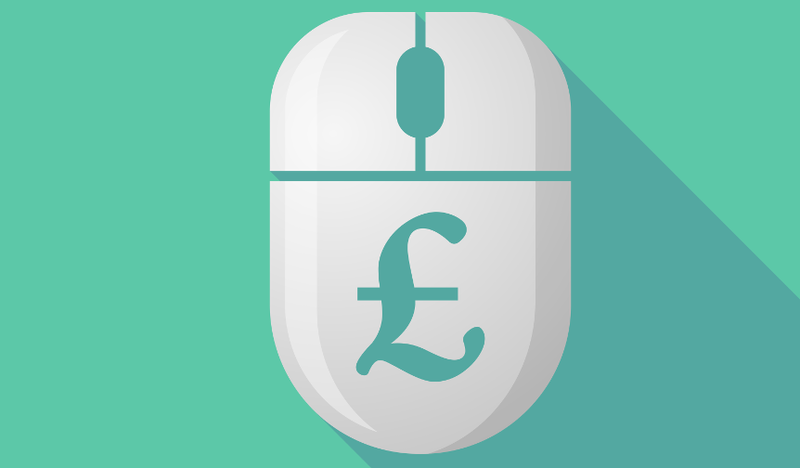 The need for change is exemplified by the ASA’s tougher rules to make pricing on broadband advertising clearer so people have enough details to make an informed choice. But more needs to be done. As long as line rental and broadband are priced separately, the temptation to advertise deals in this way will always be there. Other providers must follow our lead, to prevent households across the UK from being misled by seemingly good deals that all too often mask extra charges. It’s time to put an end to out-dated bad practices and make things simpler and fairer for customers, once and for all. This is a guest contribution by Tristia Harrison, Managing Director of TalkTalk. All opinions are her own, not necessarily those of Which? There have been many posts on Which? Conversation complaining about broadband pricing, notably the need to pay an additional line rental, so this is a positive move. It’s good to see Tristia’s comment about her company being one of the ones getting it wrong for customers and I wish more companies would admit weaknesses. On a related matter, I see that TalkTalk is still advertising ‘up to’ speeds. This is another issue that annoys customers. TalkTalk could impress potential customers by dropping the ‘up to’ speeds and inviting customers to look up what speed they are likely to get based on their postcode or phone number, as my ISP has done in response to complaints. They are not ‘scrapping line rental charges’. They will show a combined price for line rental and broadband. I would much rather see separate prices for line rental, call plan, internet, etc. Your right Ian just another advertising devious “cover-up ” to generate more initial sales so that they can say- “we are better than other companies ” I feel sorry for those taken in by– IMHO – corrupt advertising . I’m well aware that the charges that don’t relate to usage will be included in the broadband charge, so line rentals as a separate item are indeed being scrapped. Many people don’t use a landline to make calls and object to paying the line rental, which will contribute towards the cost of the telephone exchange and may include some calls. Many people do use a landline, and as far as I know those on copper broadband use some telecoms equipment and need to contribute to maintenance and repair. If you don’t use a landline phone, and decide not to have a landline then you can have it disconnected, and no longer pay for it. What I (many?) don’t like are “hidden” charges and bundling line rental with broadband is exactly that. Charges should be transparent. I’m one of those that do use a landline – as I have said many times in our discussions. I’m thinking of people other than myself. Many have said that they don’t want to pay for something they don’t use, which will include the telephone exchange and may include calls. Do we expect those without a computer to contribute to the cost of the equipment needed to provide broadband services? There are always going to be personal preferences in how charges are levied. Maybe it would be good to ask the general public. If you don’t make calls, then you don’t need a call package, but you will still have to pay for the physical phone line that brings the broadband signal to your home. Ian the phone line is the physical means of your computer transmitting and receiving data from the Internet just like 4 G is the wireless version as such you pay rental for its upkeep , you can always tell BT to remove it and live with 4 G and then no line rental to bother about. I can see this as a good thing in one way but…..
Not everyone might want their landline provider to be the same as their their broadband provider so this is also a sneaky way to get another service from you. Nail on the head alfa just because the price is combined are we getting a statement the the combined charges will mean a REDUCTION in total charges -eh ? . For those criricising BT,s charges going up in July dont forget Talk -Talk have put up its line rental by £1 and its Simply Broadband package by £2.50/month -SKY is raising its TV package from June -full package will be an extra – £4.25/month -Virgin hiked the cost of most of their bundles by between £3.49 + £3.99 /month at least BT are now giving FREE scam protection including International calls as well as an upped cloud storage deal and BT net Protect or if you are on the top bundle like I am BT Net Protect Plus which covers the lot on you computer-virus/Internet/mail protection not to be sneezed at . I have to admit to being suitably impressed that Talk Talk have been given a platform to burnish their credentials as caring for consumers by incorporating something that is becoming an irresistible ask from consumers etc. It seems such a shame that Which? does not ask awkward questions of TalkTalk about the fall-out from their security breaches and whether there is a disproportionate number of scamming activity for their subscribers. “That’s why we’ve made the decision to do the right thing and will be scrapping separate line rental charges for TalkTalk homes. We’ll be moving toward a single monthly cost including line rental, known as ‘all-in pricing’.” So you’ll pay line rental still, but won’t know how much? I use a landline phone, like many across the country, with a transparent call package. And I don’t need a maths degree to work out the cost – monthly land line cost, all day call package, unlimited broadband. What’s difficult about adding up three numbers? I’d really like to see initial offers banned – free “whatever” for the first 12 months and then “£…….” thereafter. and all in unreadable small print at the bottom of your tv screen. That isn’t transparency, it is misleading. In newspapers this Convo would probably be headed as an “advertorial”. Giving TalkTalk a marketing spot on a Which? site seems at odds with their Broadband Satisfaction Survey – April 2016 – where their customer score was 38% – worse than the other in the big 4. “Many complained about slow speeds. loss of service, poor technical and customer support, problems getting in touch and issues resolved, 18 month contracts….” Perhaps, as their MD puts it, “We’re doing this because we firmly believe every home that’s online deserves transparency and to know they’re getting value for money.” All these reported deficiencies could also, perhaps, be made clear in the interests of “transparency”. The best -Zen, Utility Warehouse, Plusnet, John Lewis – have customer scores of up to 83%. I love statistics. Even if surveys can be misleading with that kind of margin TalkTalk are streets ahead in the dissatisfaction stakes. Not a lot of transparency in hiding all the separate costs in one bundle is there? Well said Malcolm. I am glad you highlighted the appalling small print in the TV ads. It’s almost as bad in print media ads except you have more time to look at it. I can only assume they pass the ASA’s “legal, decent, honest, truthful” test even if they fall down on visibility and comprehensibility. The animated or rapidly-edited images that appear on screen during such adverts make it virtually impossible to take in any of the sub-titled info. Hopefully, most people would follow up any TV advert with an on-line search or an enquiry in the service provider’s shop [where they would really get the heavy sell]. I have a general dislike of bundled products because I cannot imagine it is done for my benefit. I was considering copying and pasting a slab of this Intro into the comment box and then exercising the Report option on the grounds that it was ‘spam or promotional‘, but I realised the moderator would strike down my complaint. That was my initial reaction, John, but where a company or other organisation does something to accede to many complaints I would prefer to be positive. I have posed a challenge for TalkTalk regarding getting rid of ‘up to’ speeds, which has been the focus of many complaints on Which? Convo. I’m waiting for Amazon to host a Convo where they say that they will take legal responsibility for the actions of their Marketplace traders. Anything that enables us to engage with the companies we condemn would be good; I am always open to persuasion. ‘Up to’ has to go. It’s infecting other sectors now. I saw a bus in Norwich on Friday with a promotion on its roofline, something like “Norwich – Beccles – up to every 30 minutes”. I can’t work out what it means. Luckily we don’t depend on that service [if we want to take the bus to Norwich there’s only one a week and you know where you are with that kind of schedule]. As far as I can see it is simply trying to make capital out of removing line rental…….well, not actually, it seems to be “including” it somewhere else. How often do we want charges to be made clear, not hidden away (“included”)? Which?’s report lists a range of complaints about Talk Talk’s offering. I’d be more impressed if they were bringing their service up to standard than trying a marketing tactic to show they have “a view that’s shared by the government, consumer groups like Which? and the Advertising Standards Authourity (sic)”. So does this imply an endorsement by them of this move? I am always dubious of marketing – aren’t most of us? Sorry to be a cynic on such a nice day. Hi all, I hope you’re enjoying the sun today! I’ve just popped in to answer your questions on why we’ve invited TalkTalk to write this guest post. We think very carefully before offering a guest post and we work hard ensure that it does not constitute advertising. We criticise companies when we don’t think they are doing right by consumers, but it’s also important to reward companies that do right by consumers. I think this is a good step forward for broadband advertising, especially if it means the end of ‘free’ broadband advertising, when there’s £15 monthly line rental in the small print. Even if it’s taken time for a company or an industry to do the right thing, I think it’s good to invite them to write about what they’ve done if they’ve decided to make a change for the good. That doesn’t mean the companies are beyond criticism or that we endorse everything they are doing. In that case, I encourage you to continue to be honest in your comments. And I’ve just come in from the garden after rounding up a heap of junk to go in a skip. It’s amazing what we accumulate. ‘Up to’ four cubic metres I expect. I understand what you mean, John. Are you paying a skip rental? I actually think the problem [again] is the episodic nature of Which?’s interactions with various companies. It is though you are working a world with people with no previous memory and just plunk down another mention of TalkTalk free of any connotations. Again I suggest that Which? introduce a curated CAWiki where the plusses and minuses of each company can be seen. This move now would be a plus for them. Perhaps it might off-set the many minuses. This one, given Which?’s current campaigns, seems interesting .. Very understanding of ICO really. I would love to see Which? campaign too end the use of ‘up to’ in all advertising, but broadband marketing is as good a place to start as possible. This afternoon was the annual litterpick organised by one of the charities I’m a member of. It was a nice day for it, even if it is not my favourite activity. It’s a shame it’s up to charities to pick litter, and I bet a lot accumulates in a year. I don’t know why part of job-seeking benefits, or community service, is not regular litter picking, especially alongside main roads. One, not too far from us, would probably generate as much as John and Ian collected for their skips – on the verges, hung in the bushes and trees. Now there is something I would report people for depositing. I think it a pity we get hung up on the use of English. “Up to” is a perfectly understandable phrase (if you choose to). The real issue is the %age of subscribers who can get “up to” to figure being quoted. Everyone will get a different speed depending on where they live, their equipment and so on. We could take the same view when a car is advertised as prices “from” depending on the specification. The intro finishes “It’s time to put an end to out-dated bad practices and make things simpler and fairer for customers, once and for all.” Why do I feel a little sceptical about this Convo? Politicians say things like this and I am then equally sceptical. But then its been very hot today and I accept I might be being unfair. As has been discussed before it is possible to get a reasonable estimate of speed from the postcode and phone number (if available), so why does any company need to advertise ‘up to’ speeds? My ISP saw the light several years ago. It’s a bit insulting to refer to those of us who want greater honesty in business to be viewed as being ‘hung up’ over this issue. I’ve said many times that if you want a reasonable estimate of your line speed, contact your potential provider. If this were better publicised then maybe we would not be so hung up on pursuing the use of four letters. But Which? among others seem to prefer to prefer to knock the industry rather than to provide constructive advice (I may be unfair here, but I don’t remember seeing this advice given very often). It is useful to know what the maximum speed available in my general area is. I regard “up to” as saying just that. Yes Malcolm, I am hiring a skip for a week [£140] and hope I can lose all the stuff from the garden and the house that has no future with us and which I cannot conveniently recycle, donate to charity shops, or give away to neighbours, friends and relatives! The skip company does in fact try to reuse in some form everything that comes out of the skip so it won’t just be going into landfill. This is the other side of the consumer coin. Malcolm – A large number of users are unhappy about the way broadband is advertised and the use of ‘up to’ is one of the main criticisms. Perhaps the view of the majority could be right. I have not said that the 10% criteria is sensible. If you read back through my comments you will see I have suggested that “up to” as a concept is understandable and realistic; the point is in my view where you position the speed. I have also suggested we should publicise the way most people can get an estimate of their expected speed by, for example, giving their phone number to their prospective provider. Constructive proposals to actually give subscribers the information they need rather than focusing on negative criticism. I’d prefer to deal with this in a positive and constructive way that helps subscribers. I agree with you malcolm ,how can any ISP say you will get ***** its not possible , do you want to leave them open to libel ? In purely practical terms it is in the realms of fantasy to think every broadband user has the same computer-the same modem/ internal wiring /wi-fi/underground cable /etc . I would think on rationality and engineering aspects alone any legally binding “average ” comment by an ISP would cost them many £millions in damages . I have been in 1000,s of homes with people with all sorts of setups many highly illegal ,no I agree malcolm “up to ” in my book is being realistic . Tell me anybody does an ISP have check out every household in the UK to see if their internal situation complies with that ISP engineering conditions for MAXIMUM speed ,if so beware they will hit you hard if they find a fault of your own making and I dont mean £100 , you are responsible for your internal wiring after the master socket I have seen all sorts of illegal “lashups ” in homes , the public are far from perfect in cases like this. Duncan – It’s a worthwhile warning that users can be charged if they call in an engineer and the problem lies with the wiring or their computer. My advice to anyone concerned about their speed is to plug the router into the master socket with internal wiring etc. disconnected and link the computer to the router with an ethernet cable before making a complaint to eliminate problems caused by internal wiring and interference of WiFi signals. It’s advice I have read many times. I would go further and suggest borrowing a modern laptop and checking the speed, just to be sure, before contacting your ISP. My ISP monitors the speed of my connection and quotes a minimum and maximum speed and I get a speed at the bottom end of the range when I test it. My neighbours across the road achieved near the top of the range before they switched to fibre broadband. On fibre, they are achieving more than the speed advertised and this speed is guaranteed. Not having fibre broadband, I have not looked at the terms of the guarantee. Dont bother with the guarantee wavechange just give me the ISP,s name and the package your neighbour is on and I will check out how any ISP can guarantee a SET speed to a consumer as I am not convinced by what a neighbor says . Duncan – I’m not keen to promote any company on Which? Convo (though I don’t see a problem with defending companies as you do with BT if there is unfair criticism) and the one I use is one of those that is not available to everyone. There’s plenty of information available for anyone who wants to put the effort into comparing the performance of ISPs. My ISP does not guarantee a set speed, just a maximum and minimum over quite a wide range. My neighbour is on a modest 50 Mbps package and showed me a range of measurements made on her iPad (so a wireless connection). They ranged between 52 and about 75 Mbps. Most of the neighbours have moved to fibre but I don’t regularly do anything more demanding than watching iPlayer so the copper line does the job. The only people in that case who could be on a set broadband speed are the government and its vital branches ,I know of several small specialist Internet companies that are not using site blocking as advised by the government but if you are with one you dont want to talk about or a government related one I quite understand I have no wish to be informed as I already know what about it. Its just the word guaranteed in relation to an engineering problem that doesnt have a set of standard specifications in writing in relation to this problem of speed as regards varying sets of “household standards ” in this line. Having had a look at the T&Cs, the guaranteed minimum speed for the fibre broadband just allows users to cancel a contract if the guaranteed speed is not achieved, which seems a reasonable solution. With my own broadband, which gives a minimum and maximum speed to expect, I have achieved the minimum speed (now about 9 Mbps). The maximum speed is 24 Mbps but that is in the technical details and was removed from the advertising after complaints about use of ‘up to’ in advertising. No doubt there will be interruptions and problems with all broadband services but any reasonable customer will make allowances for these. By giving me those speeds wavechange I can make several intelligent guesses as to your situation .If your speed is 9 Mbps but the top end of your package is 24 Mbps then that presupposes (discounting internal issues) that you have FTTC but live a distance from it or you have copper only and live near to the cabinet/exchange . As you mentioned fibre I take it it is the first instance so you must live in a “leafy” area rather than a heavily built up area , I could be wrong but I am just going by the statistics. Its also possible you dont have the top end package. I guess I’m confusing you, Duncan. The phone line to the nearest telegraph pole is copper, dating from when I had a second line put in for dial-in (my employer used to provide staff with a free service), shared with a fax machine. There is a cabinet nearby and I have no idea where the exchange is. I have not seen any significant rise in speed since the up to 8 Mbps service was replaced by up to 24 Mbps. I’m on the fringe of a built-up area. I’m in process of moving home and found that someone has screwed a junction box to the wall of the house without even saying they would like to do this. Maybe they informed the previous occupants. It looks as if I will have FTTP, which will be an improvement over the advertised minimum speed of 4 Mpbs for standard broadband. That’s a bit more than a mile from the nearest village. wavechange-The owner of the house should have been notified of a BT box being attached to the house .It signifies that a break in the lead-in wiring which would be an extension of the overhead wiring occurred and to save running a whole new line from the internal junction point (not necessarily the master socket ) where the internal wiring starts and the pole DP which could be several spans of wire this was done for speed. Not illegal but not doing the job “right ” . If your new home is a bit more than a mile from a village then FTTC would be needed to give you speeds over 4 Mbps unless the local exchange was also in the village as a mile is around the “break-point ” for speed reduction due to distance on FTTC. But FTTC can be classed as the exchange in terms of speed ,the exchange “being” the cabinet so your DP to cabinet of your new home must be that distance. Thanks Duncan – My new home is about 18 years old and there are no poles, thank goodness. I watched the fibre cables (if that’s the right term) being installed in an underground duct just outside the boundary of my garden a couple of weeks ago, and now I have a box on the wall of the house. I will go for the cheapest option, which is for a 50 Mbps service – far more than I need. Since my dialling code will be the same I can keep my phone number, and also my ISP’s email service. The house seems to have been built with four phone sockets, since there is no surface wiring, and I’m not sure which one is the master, but none of them are near where the box has been mounted – on the wall of the downstairs loo. Thinking back, I did receive a letter a year ago (at my old house) to say that the company was installing fibre broadband and would require access in case I or a future occupant wished to avail themselves of this service. It never happened. Ah wavechange you have whats called a –direct feed – ie- a direct underground cable . If it is fibre then it is classed as FTTP in that case you can have some very fast speeds beyond 80Mbps but your right ,in reality you dont need them I have 80 Mbps and thats fast enough for me but I think BT are going to increase it in the future . The box on the wall will be the junction point between the internal wiring and the external , the internal sockets must be connected to it but one must be the master to conform to legislation of being your responsibility by having the ability to remove part of the faceplate to isolate the internal wiring that you ,as the home owner would be responsible for .If none have one will need to be converted to an Openreach master box , that is no big deal as BT electrical standards for telephone sockets in the UK have all the same spec. faceplates and screw distances just the same as the electrical sockets so its just a case of replacing the front cover with a detachable section . Having said that the latest type of installation being tried out is fibre all the way to the router/modem this will depend on whether you have fibre run all the way to the sockets or not , if not its FTTP . You would need to open up one of the sockets to see what type of wire is connected internally top it before I could comment further. Internal wiring would be copper in normal circumstances . What I’m looking forward to most is being able to use a landline phone again. Knowing that fibre broadband was coming soon I did not bother to arrange a package covering phone and conventional broadband. The beauty of landlines is that you can have phones wherever you want them in the house whereas with a mobile there is one handset and it’s in one place unless you carry the thing around all day. Perhaps VW could be invited to contribute a Convo and reassure us that by “acceding to complaints”, they are absolved? Actions speak louder…etc so when we see results, not just words, I’ll be less cynical. Why can’t I just pay for the internet service when I am already paying for an existing landline ? It seems a bit like having to buy a new TV when taking out a subscription to a new satellite station. TalkTalk this weekend should have been called NO TalkTalk, my internet was badly disrupted and excessively slow speeds, even their slow speeds just about reach the minimum requirements they offer. any lower and I can’t open up my internet, which may stay off in excess of a couple of hours. Happens mainly at weekends, must admit it has been quite good for a few months. I have complained many times over the years, at one point they sent me a new modem which made no difference whatsoever, I have spoken to their technical department – who had me on the phone in excess of 40 mins, changing cable and filters – guess what no difference. The part that really annoys me is I live about 200 metres from our local exchange with not many houses between me and the exchange, so in theory I should have a fantastic speed. Unfortunately your customers have to put up with this so called lack of service, you know hwt is happening and offer no explanations. Had a phone call “Unavailable” lots of background noise slow response, telling me “You have a slow internet problem with your router.” I asked her to confirm my full Name & Address, which she did. The email address for TalkTalk was correct. However the password was an old one, according to TalkTalk the data they lost was not sensitive. I have also had more circulars from companies I have not dealt or know and likely never will. Terry if you are 200 metres from the exchange do you go through a street cabinet or is your underground cable direct ? I take it if it does go through a cabinet you have FTTC ? if that is the case your right you should be getting good speeds even on a lower priced package. Something is not right if you cant get Internet access are you still on copper all the way to the exchange ? and if it happens at the weekends then you are getting traffic congestion which in normal circumstances would lower the speed about 25 % but if you have a faulty line that could tip it over the edge . Have you had an engineer out to your home ? if not get one out pronto to check from the master socket what your speed is . I take it you have tried plugging your modem/router into the master socket and used a LAN cable but it didnt help the speed ? Get back please Terry and give me some additional info. Only virgin media can provide broadband without a land line. I live in sheltered accomodation and we pensioners are not in a position to pay for all it that it costs . We would like to pay for individual broadband between all of us. This could be at a discount price. AS has been already stated Hector Virgin Media do not make it worthwhile to not have a telephone connection . Yes Virgin and another small company or two have FTTP/H or in Virgin,s case FTTC and co-axial to the home as well with no phone . Your sheltered accommodation has to have Virgin cable already installed . Am I right in saying what you want is individual connections to Virgin cable and all pay together ? Or that one line is used and you all work off that (then there would be congestion) . I do not know about Virgin providing a discount for multiple users who are NOT business users but I will check it out but could you elaborate for me ? Virgin do have a Virgin Media Wi-Fi app over which many users can access a SuperHub (their words ) as a WiFi hotspot but it has its drawbacks.